Brambles is built on principles that are inherently sustainable. Our sharing and reusing circular model decreases demand on natural resources and our network advantage reduces costs for customers and makes supply chains more sustainable. Brambles is committed to working towards Zero Harm. We focus our sustainability activities in three areas: Better Business, Better Planet, Better Community. Our ‘better business’ model is sustainable. We optimise the flow of goods through the supply chain, eliminating waste and making world trade more efficient and sustainable. The more our customers share and reuse our products, the greater the efficiencies and environmental benefits of our networks. We work towards a ‘better planet’ by maximising the life of our purchased materials through our share and reuse business model, reducing demand for natural resources. We also address our direct and indirect environmental impacts in our supply chain. We provide positive contributions to ‘better communities’ by providing sustainable supply chain services for the local economy, rewarding career opportunities and assistance to community organisations that focus on food security, environmental restoration and education initiatives. In order to keep our strategy relevant and maximise the value of our sustainability activities to investors, customers, employees, suppliers and the community, we regularly assess our performance against defined targets and through annual reporting of progress. We engage regularly in external benchmarking of our policy and performance, through independent investor, customer and NGO surveys, as well as seeking external assurance each year on key areas of focus. Our knowledge of supply chain, extensive networks and reusable platforms creates opportunities to optimise supply chain networks through collaboration with multiple partners. Sourcing our materials is of key concern to both our business and the wider community. Our reliance on a sustainable timber supply base means that the issues of deforestation and climate change are important to us. We manage these by applying best practice in environmentally responsible sourcing and operational management. We also work to reduce the carbon impact of our suppliers. We recognise that water is a precious resource, as well as being crucial to the operation of our business. We take our responsibility to use water wisely seriously. We have an excellent opportunity to deliver environmental benefits in our customers’ supply chains. We help customers address their climate change concerns by helping to reduce their carbon footprint through our sharing and reusing circular model. Our platforms, logistics capabilities, network density and our scale enables our customers to eliminate waste throughout their business and the world including the reduction of food loss and waste. We welcome feedback on our strategy and progress towards achieving our sustainability goals. The primary contact point for feedback is sustainability@brambles.com. Brambles defines sustainability as the strategies and activities the Group has adopted in relation to its employees, the environment, ethics and the community. The Brambles Chief Executive Officer (CEO) has operational responsibility for sustainability issues. The ELT helps to formulate sustainability policies and is responsible for implementing these across the organisation. Brambles Sustainability Risk Committee (SRC), formed in 2016, is responsible for assisting the CEO and Executive Leadership Team (ELT) with sustainability strategies, targets and activities, consistent with the Group’s Shared Values. Sustainability is part of the ELT agenda on a regular basis. The SRC is a management committee comprising Brambles’ Group Senior Vice President, Human Resources, Global Head of Sustainability and Group Vice President, Risk & Assurance and a cross section of senior Brambles corporate and business unit executives with relevant and applicable functional expertise. The Board is also regularly updated on sustainability issues, either by the CEO or members of the Sustainability Risk Committee. Brambles’ Code of Conduct provides an ethical and legal framework for all employees in the conduct of Brambles business. It includes policies on Corporate Supplier Responsibility, Environment, Health and Safety, Diversity, Supplier, Anti-Bribery and Corruption, and so on. Brambles implements its Code of Conduct through a variety of training and induction programs. All new employees receive and sign-off a copy of the Code of Conduct. In addition, business units provide regular training. As part of Brambles' internal compliance, designated country General Managers are required to sign off on compliance with the Code of Conduct in bi-annual management declarations, as well as detail representations received from local communities, governments or legitimate special interest groups that raise any significant, or potentially significant, community relations issues. Brambles’ Headquarters and each of its business units have a risk and control committee (RCC). Each RCC conducts an in-depth review on a regular basis of the risk profile of the relevant business unit, or of Headquarters. In 2015, economic, environmental and social sustainability risks were incorporated into the Group’s risk management framework. The ELT, through the CEO, prepares a risk report for the Board twice yearly. Further information on Brambles risk management is outlined each year in its Corporate Governance Statement. Brambles uses the Global Reporting Initiative (GRI) Standards as a framework for the reporting of our sustainability activities. We also seek external assurance each year on key areas of focus. Brambles encourages independent external evaluation of our sustainability performance through participation in initiatives such as the Dow Jones Sustainability Index, CDP, CDP Forests, CDP Supply Chain and FTSE4Good. Scores or rankings are provided publicly where applicable. Brambles actively seeks feedback from key stakeholders. Key stakeholders are identified as those groups significantly impacted by the policies and practices of Brambles businesses. 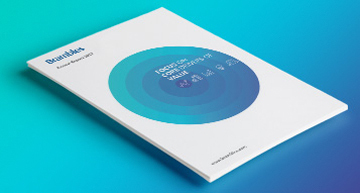 Feedback from key stakeholders is reported annually in our sustainability reporting. We have identified five key stakeholder groups. Brambles seeks to hear the Voice of the Customer through strategic leadership forums, face-to-face customer interviews, global market insights, the Global Relationship program (see below) and customer care centres. Brambles Global Relationship Program (through the annual relationship survey and transactional surveys) provides an ongoing opportunity to actively listen to customer feedback on our performance, understand customers’ motivations and challenges and agree and implement initiatives that foster greater loyalty through building better Customer Experience.. Feedback provided on an ongoing basis and communicated to relevant internal teams. Brambles Annual Report and Annual General Meeting to communicate its financial situation, performance, strategies and activities to shareholders. General Meetings allow shareholders to engage directly with the Board. The Group Vice President, Capital Markets and Group Company Secretary deal with shareholder enquiries at other times. Brambles holds briefings with investors and analysts to provide information and seek feedback. A record of any briefings is maintained and copies of presentation materials are available on the website. New or updated information and materials provided at these meetings are also released to the Australian Securities Exchange (ASX). Responses are managed by the sustainability team, with the assistance of relevant internal functions where required. Brambles Employee Survey (BES) is confidential and conducted annually. It is offered to employees in both web and paper-based formats. The results of that survey are communicated to employees. Data is used to track progress from previous surveys, measure Brambles against internal and external best practice and identify key actions for improvement. Brambles Sustainability team is engaged in the process of finalising the content of the questionnaire and analysing responses for sustainability issues. Responsibility for managing relationships with suppliers resides with the Group Presidents of each Brambles segment. A global Procurement function (within Operations) is responsible for supplier standards and monitoring performance. Brambles recognises that its business units need to collaborate closely with their third-party operators and suppliers to meet customers’ growing interest in understanding their environmental impact and in turn to demonstrate the benefits of using Brambles’ products and services. Brambles holds regular meetings with relevant regulatory bodies, government and non-government organisations (NGOs) and employee representative bodies and also conducts customer, employee and supplier surveys and consultation forums, local community forums and focus groups. Brambles’ representatives hold positions with various NGOs relevant to its sustainability strategy globally. Brambles regularly updates its material sustainability issues process, to identify sustainability topics deemed material by its businesses and stakeholders. 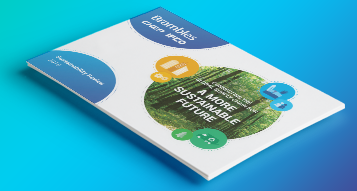 Brambles conducted its first formal analysis of sustainability topics in FY11, using a third party provider with AccountAbility Principles Standards AA1000 five-part test as a guide. Brambles subsequently identifies sustainability issues through stakeholder engagement processes internally. This includes a review of stakeholder feedback through both formal and informal processes, either directly from stakeholder responses and comments, or as summarised and analysed by the responsible function for that stakeholder group. Ranking is also conducted as a part of this process. Brambles risk management processes considered the Australian Stock Exchange Corporate Governance Council’s Corporate Governance Principles and Recommendations. In 2015, economic, environmental and social sustainability risks were incorporated into the Group’s risk management framework. This framework was further enhanced with the establishment of a Sustainability Risk Committee (SRC) in 2016. The SRC is a management committee comprising Brambles’ Group Senior Vice President, Human Resources, Global Head of Sustainability and Group Vice President, Risk & Assurance and a cross section of senior Brambles corporate and business unit executives with relevant and applicable functional expertise. (For further information, please see the Corporate Governance Statement, available online.) This process contributes to the identification of material sustainability topics for the Sustainability Review. Stakeholders are engaged throughout the Year through a number of other ongoing business processes, including programs such as the Brambles Employee Survey and customer insights program, which are under the direct control of senior management and reported in the Review where applicable. While internal stakeholders were engaged as proxies to represent external associations in some cases, this was limited and may not result in a complete and unbiased contribution. The top sustainability issues of concern to each stakeholder group were identified and ranked. These are approved by senior management responsible for the stakeholder group. The environmental, economic and social sustainability risks assessed by our internal risk management processes are also included in our analysis. The material sustainability issues are identified as being those sustainability issues applicable to multiple stakeholder groups and/or with a material impact on our businesses. The review is conducted consideration of the Global Reporting Initiative (GRI) G4 guidelines, in order to identify material aspects that reflect Brambles’ economic, environmental and social impacts. Consideration was also given to the requirements of the ASX Corporate Governance Principles recommendation 7.4. The results of this process are approved by the Executive Leadership Team and the Board, as part of the approval of the Sustainability Review.